This week in therapy, I had a parent asking for recommendations to help her communicate basic things with her child until they get further enrolled in therapy. I often see the frustration level rising in three year olds who can’t communicate their ideas. I recommended the app called Sounding Board from AbleNet. It’s free and easy to install on a phone for Android and Apple. It lets you create a basic talking choice board with any pictures you take right with your phone. Perfect for snack choices or a way to tell mom/dad what hurts. The Sounding Board app let’s you add any photograph to a choice board. You can add as many icons as you wish. You can add a recorded verbalization easily by selecting “record”. That’s it! I recommend that parents start with snacks and a help board. 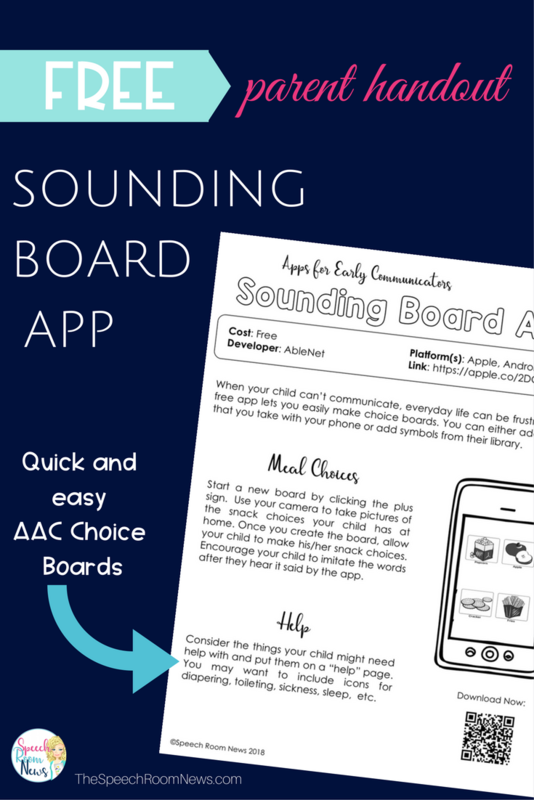 It’s such a great app because once the parents get the hang of it, they can easily add as many boards as they need. 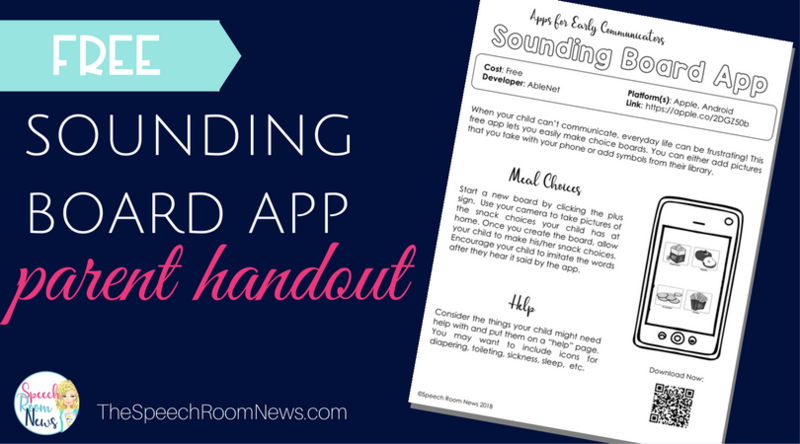 I created a free quick parent handout for this app. 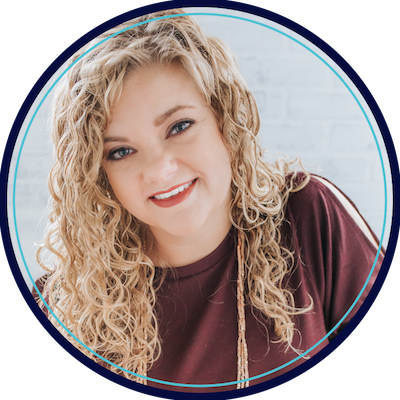 You can keep it handy to give parents during an evaluation so they have something to go home and use without needing a lot of parent training. 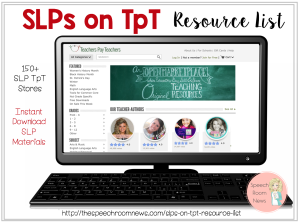 The free download is available to my newsletter subscribers as part of the email resource library. Download this handout and others at TheSpeechRoomNews.com/ResourceLibrary. 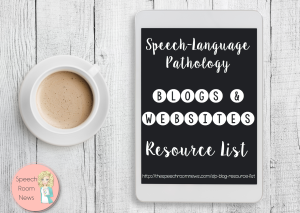 If you don’t yet subscribe to the newsletter you can sign up here: TheSpeechRoomNews.com/JoinResourceLibrary.